GREEN BAY — Friday’s practice will likely go a long way toward deciding whether or not Eddie Lacy will play in Monday night’s game against the Kansas City Chiefs. “Eddie went through his rehab. He looks good. Like I said, I have to see him move around. This will be the first time, in individual work,” Coach Mike McCarthy said on Friday. Lacy and Davante Adams sustained ankle injuries in Sunday night’s win over the Seahawks. “They’re in an injury situation and they have to work their way through it,” McCarthy said. 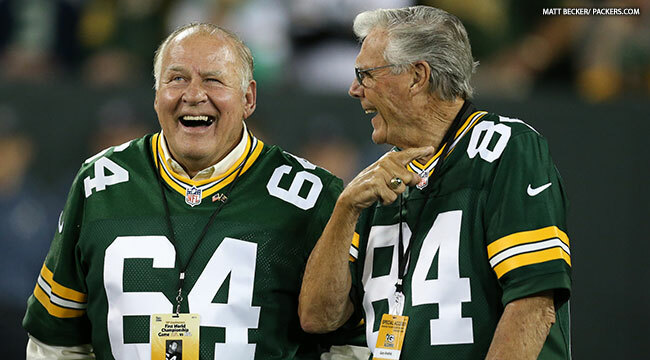 Monday’s game pits the two teams from Super Bowl I, and the Packers are celebrating the 50th anniversary of the Super Bowl by inviting alumni from that game back to Lambeau Field. “The one thing that resonates is how much fun they had playing the game. It was different back then. Their love for football, their camaraderie, how fond they were of each other,” McCarthy said of having spent time with the alumni. What will be said of today’s game 50 years from now? “It’ll change. That’s the one thing about life and sports. It never stays the same. It’ll be interesting to see the impact of technology. I hope the fundamentals part of it doesn’t change. Player safety is definitely headed in the right direction,” McCarthy said. How might technology and improved nutrition and training regimens impact the game? “Even greater athletes, which is scary,” McCarthy said.